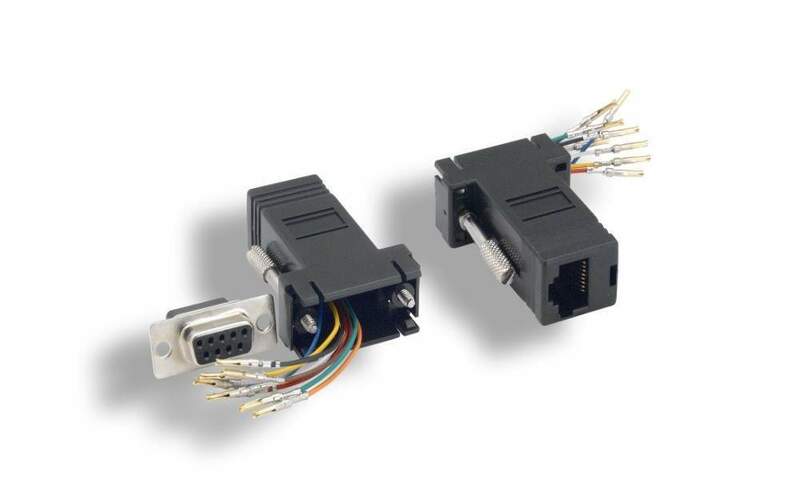 Used to connect DB9 Yype Device to Cat-5 Cat-5e Cat-6 Style wiring with RJ45 Connector. Used alot for Serial Devices, Cisco Consoles, Telecom Equipment. This is the assemble type with all wires ready to be pushed into the appropiate spot on the DB9 Female Connector.